We offer an ECO-FRIENDLY solution for paint stripping and cleaning. Our process is non-toxic and uses environmentally inert media. We are faster and cleaner than any other method. Safe on Most Surfaces. Safe on the Environment. Fast & Effective. 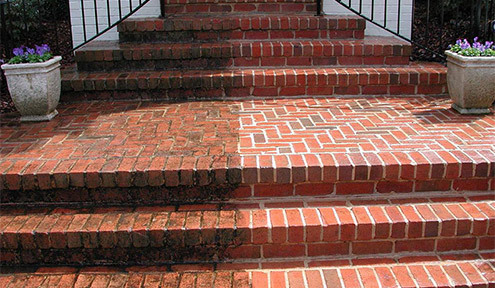 Perfect for masonry restoration, graffiti removal, driveway stain cleaning, weather build-up removal, antique restoration, fire damage, line stripe removal, pool restoration, monument cleaning, wood deck stripping and restoration, patio cleaning and restoration, stone cleaning, and much more. 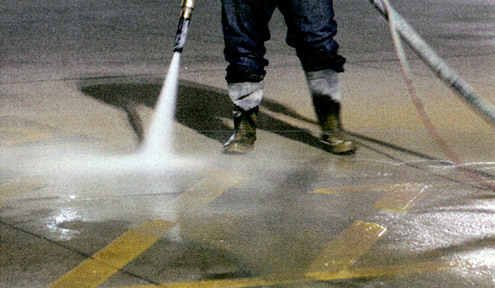 Commercial lots, public lots, garages, and roads, we can remove the pavement striping effectively with mobile dustless blasting. 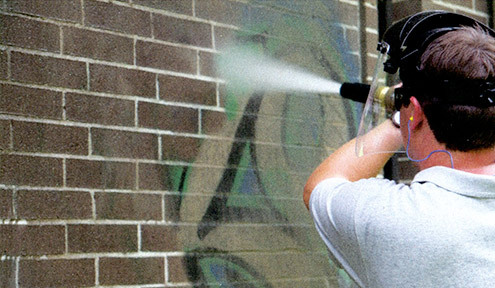 Graffiti is an eyesore to you and the community. We can remove it safely without using toxic chemicals. We use 100% recycled material and water. 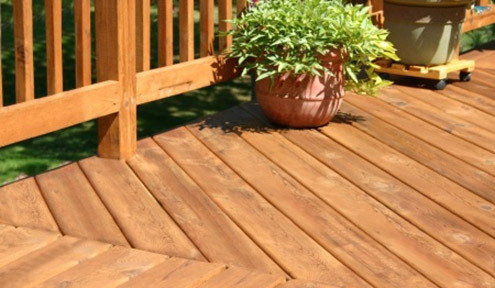 With the right pressure and the right media, we can restore your wood deck, furniture, log cabins, and even strip the paint off of most wood surfaces. We can clean your restoration projects in a fraction of the time. Do not toss that old "junk." Let us bring it back to life and increase the value!